The Animal Firm refers to Orwell’s classic book Animal Farm, in which authoritarian pigs are the boss. 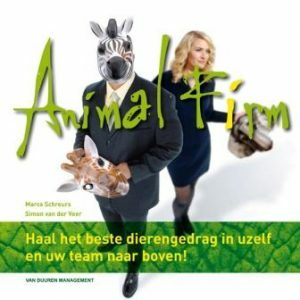 The Animal Firm is based on international research into High Performance Organizations by André de Waal. The authors link the success factors of excellent performance to strong animal characteristics. And what have they discovered? That ‘dumb geese’, ‘tactless elephants’ and ‘barking dogs’ perform better. It has since been proven that reorganizations, high bonuses and more checklists do not help people perform better. Their study among excellent organizations showed that success depends on other factors. Interestingly, many animals appear to instinctively demonstrate this behavior. But how do you cleverly organize such animal behavior? How do you control it? It is quite simple actually. Simply go on safari and study the Big Five of animal behaviors for successful management! Leadership may take place with the help of the elephant. This type of animal is typically older and wise and is respected by their fellow followers. Their established presence within the group make it easy for others to follow. This particular role will have others beneath them, following their every move. In the safari world, the leader of the elephant pack is responsible for every action and move that the heard does. This includes, drinking and even resting. This particular animal has been seen in nature to motivate the rest of the group. They want their team mates to be successful and will use encouragement and advice to push everyone to the top. The older of the group will coach the younger ones and highlight how the longer of the goals are more important than short term tasks. Ants are very interesting to watch in a group. They each have a task, however the one who knows something and is an expert is the one that will lead. If mistakes are made, the ants simply work around it and learn from them. This species also knows how to communicate effectively and will do so even using non verbal communication. The Titmouse is an animal that is always searching for something new. They are clever, smart and innovative. They want change and seek it all the time. Their spark for learning and discovering new things is an important trait for anyone in the business world. Combined with the crow who proves that improving performance can come from hard work and creative measures. Staying curious could help to keep a company moving forward without stopping. This group of animals will stay together no matter what. 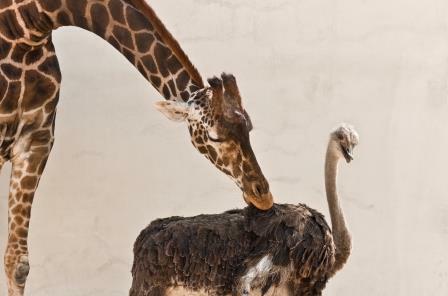 The Wildebeest, zebra, ostrich and giraffe, are animals that will develop a strong group that work hard together. This group will ensure that team work plays a hard role in keeping everyone safe. Predators may be waiting and searching to take down the weak and old. It is up to the entire group to ensure that everyone protects each other from harm. Plan out your work with your very own Animal Firm! Lead just like the elephants, keep running such as the African wild dogs. Learn from each other like the ants do. 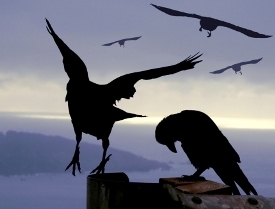 Stay organized and challenged such as the crows and titmice. Stay together in a group such as the zebras, giraffes, ostriches and wildebeests do. Ensuring that all of the animals are covered in a workforce will help to create the perfect Animal Firm. When you think about the animals in Animal Farm, do you see any that represent who you are? Can you relate any of the personalities to some of your team mates? How can the animal inside you and your coworkers be brought out using these methods and innovative thinking tools? Start a dialog with your coworkers and start your own Animal Firm! Also watch the HPO video of ‘The African Wild Dog – Long-term Orientation’ or ‘The Elephant – Quality of Management’! For more information about the author Marco Schreurs, the HPO Framework, HPO Diagnosis, our lecturers, HPO Experts, workshops and Master Classes, please contact us (schreurs@hpocenter.com or T. +31 (0) 35 – 603 70 07).